Whether you are a beginner, an experienced embroiderer, or a sewing expert, you will love the embroidery classes near Crestview that we have scheduled right now. It’s known that crafting is good for your health, but if you are curious to learn the full range your machine has to offer or stressed out trying to learn new sewing and embroidery techniques, your next stop should be a fun class with our experts. 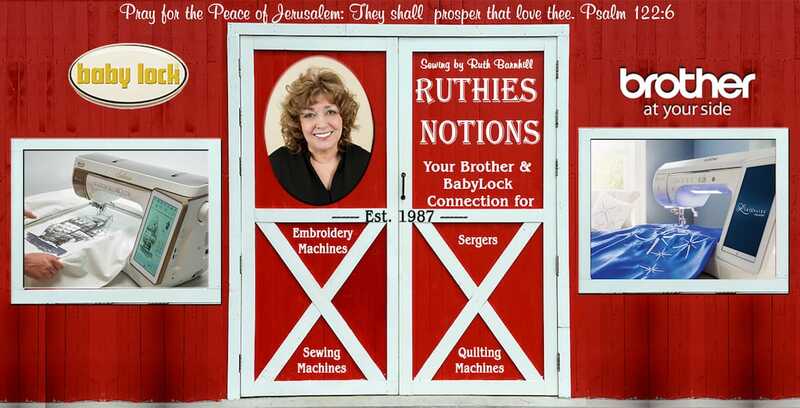 If you are looking for Crestview sewing events, look no further than Ruthies Notions. There are many classes available to sign up for right now. Because we create a community of people having fun and working together, these classes fill up fast! Book now to make sure you have the chance join in. These classes also make excellent gifts for friends and loved ones. 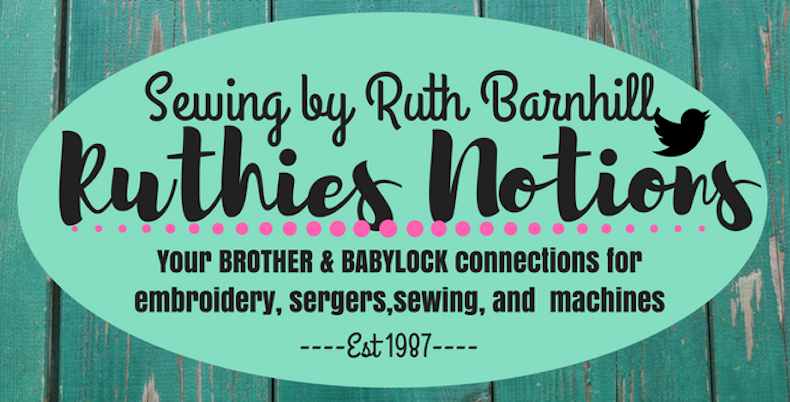 These sewing and embroidery classes at Ruthies Notions are a great way to sharpen your basic skills and receive a guided tour of your machine. It is a short drive to from Crestview to our shop. At Ruthies Notions, classes are always Make It and Take It. At our Crestview sewing training classes, you will find all of the Brother and Baby Lock equipment you need there as well. If you do not own a machine, we have machines for you to work with and try out, including cutters, fabric, vinyl and all of the other supplies that go along with sewing success. Once you have joined our nearby Crestview sewing and embroidery events, you will be able to offer your creations for sale or display them at craft fairs. Some people even start their own business. So, if you have been looking at that serger or multi-needle machine and wondering where to store it, don’t! Bring it along to our informative Crestview embroidery training classes. With the right instructors, you will learn how to use it from the first stitch to the finished item. If you are searching for Crestview embroidery and sewing classes contact us today. They are fun, informative, and taught by the best Brother and Babylock teachers in the industry. You will come away amazed at all you have learned and wonder why you waited so long to join our community. Find out all the current sewing and embroidery classes that we have scheduled and register today!